Are you feeling unhappy in your current job but unsure what to do about it? Are you a recent graduate who doesn’t know which career path to take? Do you have experience across many different areas but don’t know how to best present yourself to potential recruiters? The career planning process can be complex, but it is one that should be undertaken on a fairly regular basis in order to ensure you are on the right track to achieve the success you desire and deserve! STEP # 1: TAKE STOCK. This first step requires you to sit down and look at your current situation. Think about the kind of work you enjoy and write down your goals for the future – what direction would you ideally like to pursue? If you have absolutely no idea, give some thought to the kinds of tasks you enjoy doing as well as what you’re good at. At this point, it is important to be aspirational – research online and look up job sites for roles you think you would enjoy over the long term. STEP # 2: LIST YOUR SKILLS & KNOWLEDGE. In this second stage, you should list your current skills, knowledge and experience – then think about how useful they could be. Ask yourself where your strengths and weaknesses lie – both personally and professionally, then think about how they might help you achieve your aspirational role. At this point, you should involve other people – professionals, family, work colleagues you can trust – to help clarify your direction. You could also consider taking a professional career assessment to better understand your interests, values and personality and help narrow down options. STEP # 3: WRITE DOWN YOUR GOALS. Based on your initial research and thoughts, you now need to clearly articulate your broad career goals and think longer term regarding where you’d like to be in five and ten years’ time. Identify areas for improvement – what experience, knowledge, skills and qualifications do you need in order to succeed? STEP # 4: RESEARCH RESOURCES. It is important now to identify available resources. Look everywhere – courses, contacts, technology, online resources, etc. Consider the financial, family, study and other impacts you will experience if you were to pursue your goal. If you need to study, research providers and decide whether you can complete some study part-time while still working. Identify whether or not you can gain relevant skills in your current role and find out if there is an opportunity for volunteer work to help you gain experience. STEP # 5: DEVELOP A CAREER PLAN. A well-structured career plan will clearly outline your goals and milestones. You should include action points to help you succeed, but remain flexible to change if need be. Include areas for development that cover skills, experience and education or training; as well as networking with individuals and finding out more about specific companies or industries. Identify your important transferrable skills and how you can best present those to potential employers. If you can, find a mentor who can help you through your transition. STEP # 6: IMPLEMENTATION. The final and most important step of course is to start taking action to implement your plan! Are you in charge of your future career direction? If not, consider seeing a Career Counsellor for an independent perspective. 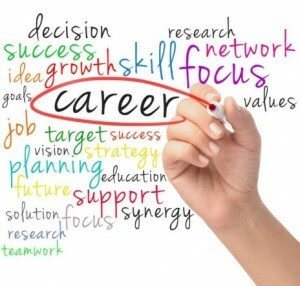 Career Counsellors are trained professionals who can help you achieve your full potential in your career. Wherever you are on your career path, start taking those initial steps today towards achieving your future career goals. 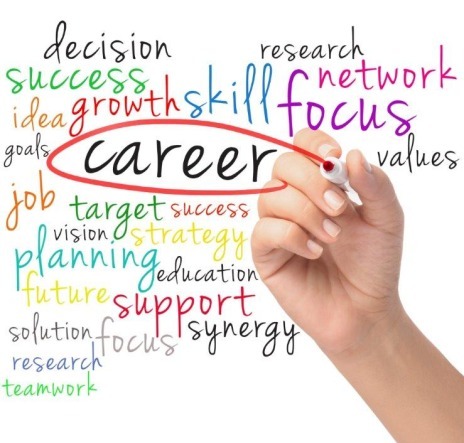 If you would like help from a Career Coach to evaluate your options for a new career or better understand the options that best suit your interests, values and personality, see our Career Guidance and Career Counselling services.